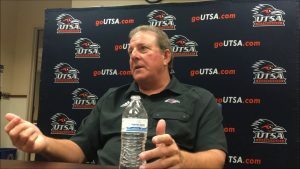 Louisiana native Frank Scelfo will be the next head football coach at Southeastern Louisiana University, according to a report from FootballScoop.com. Southeastern officials announced late Monday that it will introduce its new coach at a 1 p.m. Tuesday news conference in Hammond. For Scelfo, 57, this will be his first college head coaching position. He spent the last two years as offensive coordinator for New Orleans native Frank Wilson at UTSA, after serving as an assistant with the NFL’s Jacksonville Jaguars. Scelfo worked for 11 years at Tulane under three different head coaches, spending the last eight of those seasons as offensive coordinator for his brother, Chris, who is now an assistant coach at the University of Houston. Frank Scelfo also worked under Buddy Teevens and Tommy Bowden with the Green Wave. After his Tulane stint, Scelfo was offensive coordinator at Louisiana Tech for three seasons and quarterbacks coach at the University of Arizona for two years before moving to the NFL. Scelfo is a native of Abbeville. He played collegiately at then-Northeast Louisiana from 1977-81. 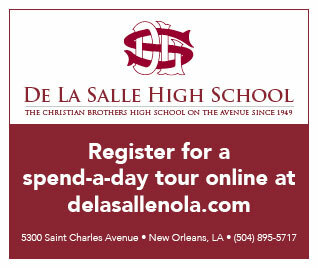 His oldest son Anthony, a former Tulane football and baseball player, recently was named an assistant coach at Southeastern’s Southland Conference rival, Northwestern State University. Scelfo would replace Ron Roberts, who resigned 10 days ago to become defensive coordinator at the University of Louisiana at Lafayette.